The Independent Petroleum Marketers Association of Nigeria (IPMAN) is set to commence work on its proposed $3 billion (N1.08 trillion) refineries in Kogi and Bayelsa states. The National President of the association, Mr. Chinedu Okoronkwo, made the disclosure in an interview in Lagos yesterday. IPMAN had in July 2014, acquired over 1,000 hectares of land to build refineries that would produce 200,000 barrels of petrol per day at Itobe in Kogi and Agge in Bayelsa states. Okoronkwo said the project, which ought to have started two years ago was delayed due to leadership tussle in the association, adding that it would now commence since the leadership issues had been resolved. The IPMAN boss said the leadership of the association had commenced discussion with investors and technical partners on the commencement of the project. Okoronkwo said, “our $3 billion refinery project would soon commence as we are discussing with our investors and technical partners. The project to be sited in Kogi and Bayelsa ought to have commenced but was deterred by the leadership tussle rocking the association but now that it has been resolved, I am pleased to inform the public that we will soon commence work. “We are pursuing it very strongly because we believe in the success of the refinery. We bought 1,000 hectares of land in Kogi and Bayelsa. Once government approvals and consent have been given, we are ready to move to the site and commence production,” he added. Okoronkwo said that foreign investors had already conducted feasibility studies on the project. He said that IPMAN’s aim was to contribute its quota to increase the supply of petroleum products to Nigerians. Okoronkwo urged the Federal Government to invest more in modular refineries as a way to end fuel scarcity in the country. “Our expectation in 2018 is for the government to invest more on modular refineries to be able to have more petrol locally to address scarcity,’’ he said. The IPMAN helmsman said that government had performed creditably well in the downstream sector in 2017, adding that it should crown it by building more modular refineries. According to him, a modular refinery is cheaper to build and it can move from one place to another. 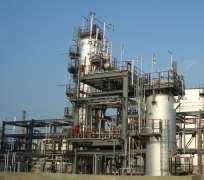 “A modular refinery is capable of refining between 10,000 and 35,000 barrels of crude oil per day,’’ He also told government to provide incentives that would attract investors to the oil and gas sector.